Saša Kampič Milo, a Slovenia native, came to Boise as a student athlete in 2009. Saša is passionate about building community connections and enhancing people’s lives. She has experience working and volunteering in the local nonprofits, from refugee resettlement, to youth education, and as a children and teens coach in the summer track and field program. As an immigrant herself, Saša understands first-hand the process of integration into a new culture and is committed to helping other immigrants achieve success. 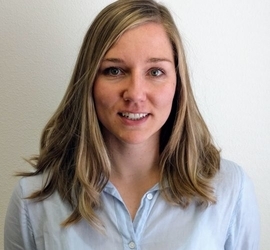 When out of the office, Saša enjoys outdoor activities such as skiing at Bogus, mountain biking in the Foothills, hiking in the Sawtooths and traveling. Saša holds a Bachelor’s and Master’s degree in Communication studies from Boise State University.